Range Rover is taking on the likes of the Porsche Macan with the all new Velar. 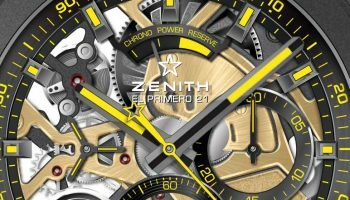 In the cars wake follows the Zenith Chronomaster El Primero Range Rover Velar, the second Zenith El Primero chronograph with Range Rover logos. 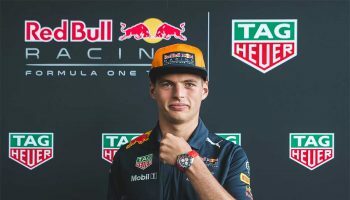 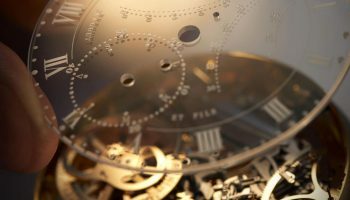 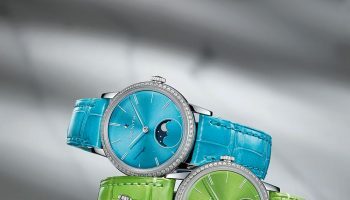 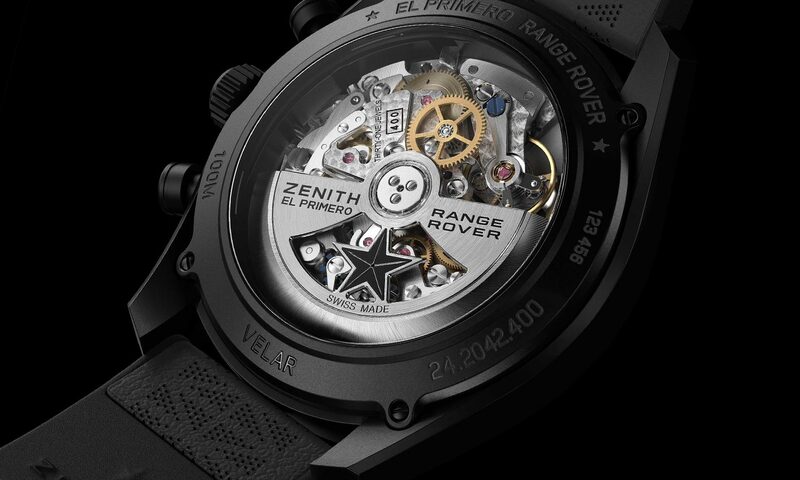 The Velar is the fourth member of the Range Rover family and the Zenith Chronomaster El Primero Range Rover Velar is the second Zenith watch with Range Rover branding. 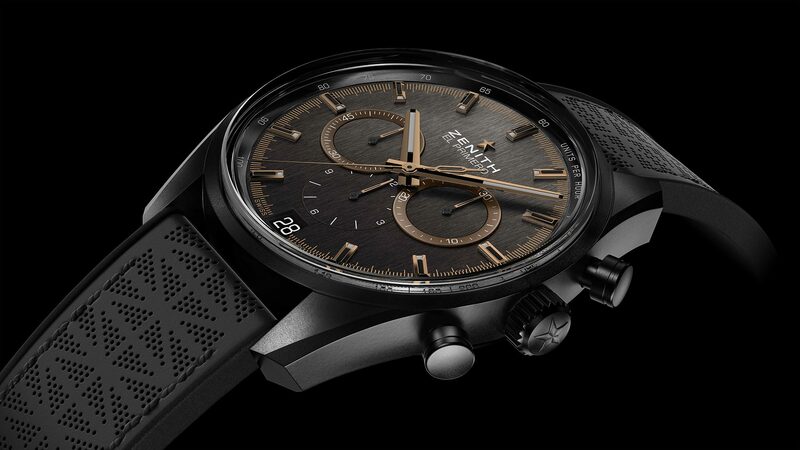 The chronograph has a black aluminium case with a diameter of 42mm, finished with a scratch-resistant, ceramic coating. 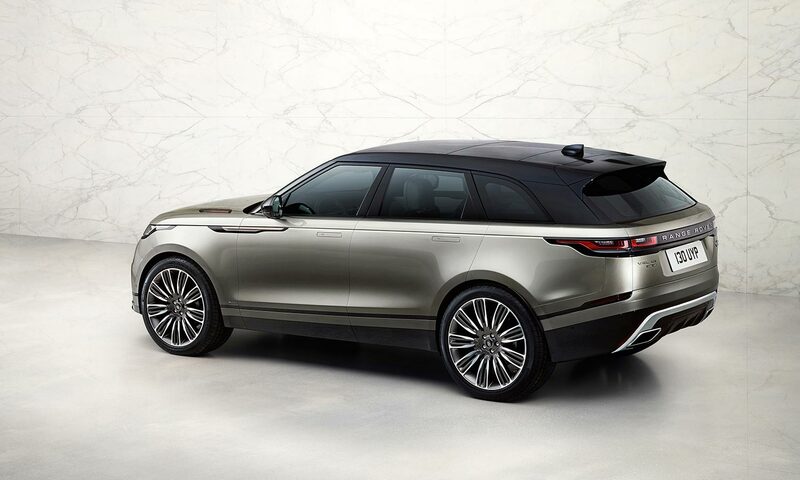 The unconventional use of aluminium is a direct reference to the bodywork of the Range Rover. 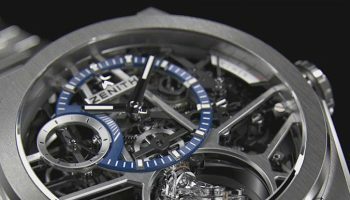 Aluminium is very lightweight, but when used as the base material for a watch case it is also vulnerable to damage. 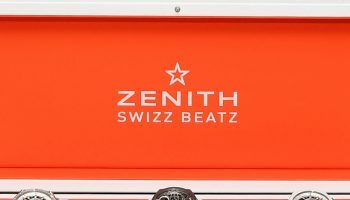 Giving the case a nice metallic lacquer was never an option, so instead the case is protected against scratches and corrosion by a ceramic coating. 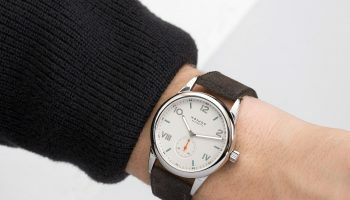 The grey dial has copper coloured details and has an understated, brushed finish and three subdials. 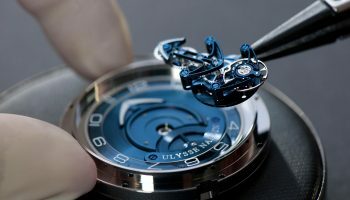 The names Zenith and Range Rover are engraved on the rotor of the movement, which is visible through the clear case back.